Instead if taking your snowmobile to the shop and spending hundreds of dollars to have the track changed, try doing it yourself. The same basic procedures apply to most snowmobiles, and the entire job can be done in an afternoon. The result is a new monster track that will rip up the trail and put your sled in front of the rest. 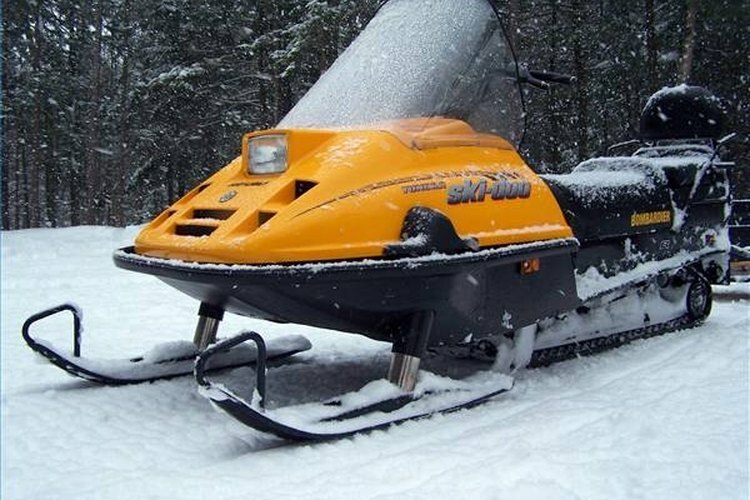 You will save money and have the satisfaction of working on your own snowmobile. Find a warm, dry place to work and start by removing the suspension. Once suspension is removed, place the snowmobile on the lift or jack. Remove the hood and the exhaust pipe. The primary and secondary clutches should also be removed. Although not essential, this gives you much more room and makes the entire procedure much easier. Take out the drain plug in the chain case and drain the oil. Lock the brake and unscrew the screws that hold the gears on. Pull the gears off and remove the chain. Unscrew the nuts that hold the bearing cup and O-ring, and remove them. Remove the nuts on the clutch side that hold the speed sensor on and tap bolts until the speed sensor comes off. Hold the drive shaft that is beneath the snowmobile and remove it by wiggling it out the clutch side through the chain case. Gently tap the bearing off with a block of wood and take the drive shaft out. Your track is now ready to be removed. Reverse the above steps to install the new track. Make sure the track is flowing in the correct direction, and that the gears and pulleys are put back together properly. Leave your new track in the sun for a few hours before installing. This will soften the rubber, making it easier to install. Take pictures of the gears and spacers to remember how they go together. Don't forget to add chain case oil back into the pan before riding.